So I PRed my Clean and Jerk tonight at 100lbs! That is milestone for me since I am only two months post shoulder surgery and I can distinctly remember several months ago feeling so far away from a 100 pound clean, much less getting it above my head. Tonight was such a confidence booster. No shoulder discomfort at all either! I should also mention my beastly husband had a 145# C&J. Big Money. 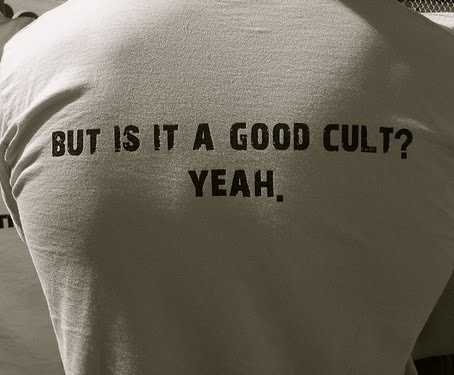 This is not my back or my shirt but it’s applicable anyway! So the strength portion was a triplet cluster of Power Clean, Hang Clean, Jerk, 5 rounds every 3MOM with increasing weight each time. I started at 70#, then 80#, 85#, 95#, 100# PR! I felt like I had more in me too, so I’m eager to see that lift again soon. 11 CTB Pull Ups. I scaled and jumped from a box and got as high over the bar as possible, usually a chin over bar. I tried to really focus on simulating an actual pull up and not relying on my legs for the jump. Lord I want a strict pull up so bad! Sometimes I feel like I will never get there. I know I will, but I feel the vastness of the goal stretched out so far in front of me and get frustrated. Here was dinner two nights ago. 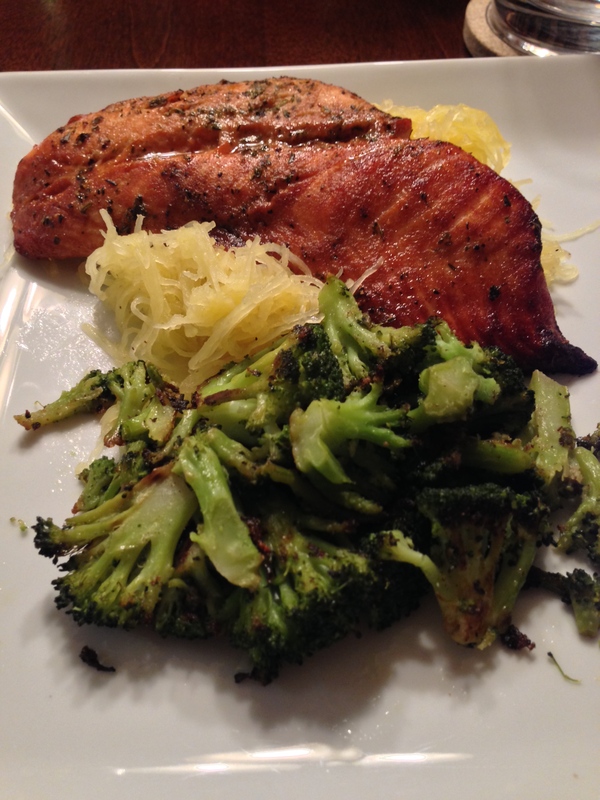 Salmon, Spaghetti Squash, Broccoli. If I could roast everything I eat from this point forward I would, probably, but I realize that’s not the best idea. BUT, that doesn’t stop me from roasting MOST all vegetables that we eat. My lovely BFF Margaret surprised me with it for Christmas and I have texted her probably 7 times at least telling her it’s the best present she’s ever given me! I feel like Julia and Julia, except I am not on some crazy mission to cook my way through it in a certain amount of time, though it’s certainly starting to seem that way. Anyway, I’m getting ahead of myself. This is for another post that you DON’T want to miss reading. (Or…you could just buy the book now, ship it Amazon Prime, and be cooking out of it by the time I review it). So, in closing, DAMN IT FEELS GOOD TO LIFT HEAVY. 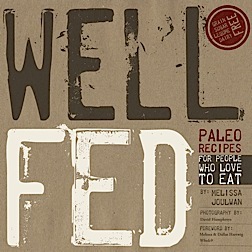 Next Well Fed: Paleo Recipes for People Who Love to Eat (and I do).